Dip marshmallow into orange about one third the way up from the bottom. Dry. Mix the rest of your icing to make black and dot the top part of marshmallow to make eyes. This step is not necessary as they are a unique little treat or party favor either way. 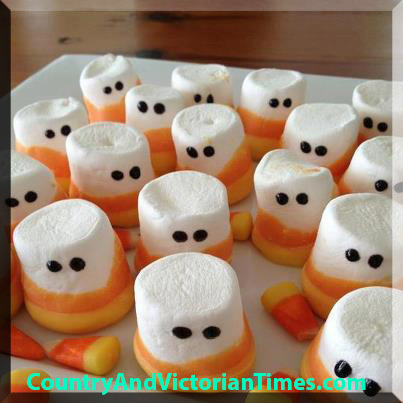 This entry was posted in Recipes, ~Holiday, ~Party and tagged almond, cany corn, Corn syrup, Food coloring, fun, icing, Marshmallow, powdered sugar, sugar, teaspoon, Vanilla extract, ~Halloween, ~Party. Bookmark the permalink.